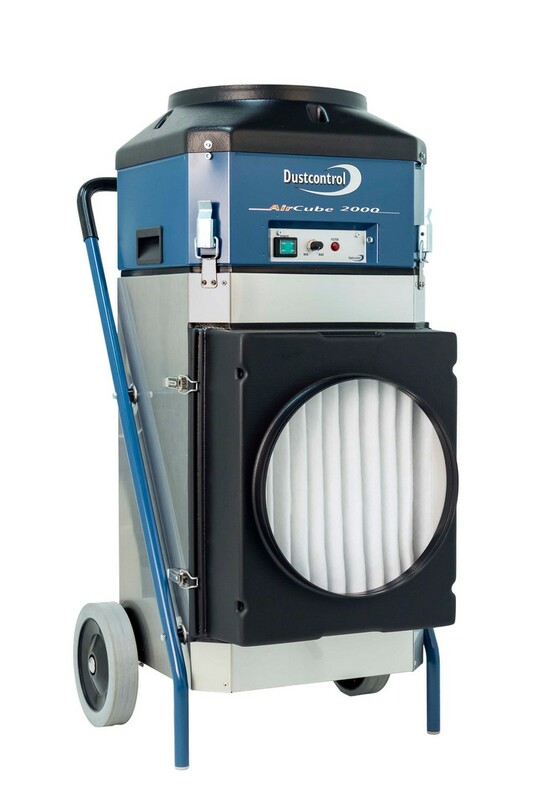 The Aircube 2000 is a robust air cleaner with an ECO-fan and a capacity of 1800m3/h, equipped with variable speed transmission to save energy, e.g. at night. The Aircube 2000 can be positioned horizontally flat on the floor, with the exhaust then pointing to the side. With its ergonomic design it is easy to carry and transport.